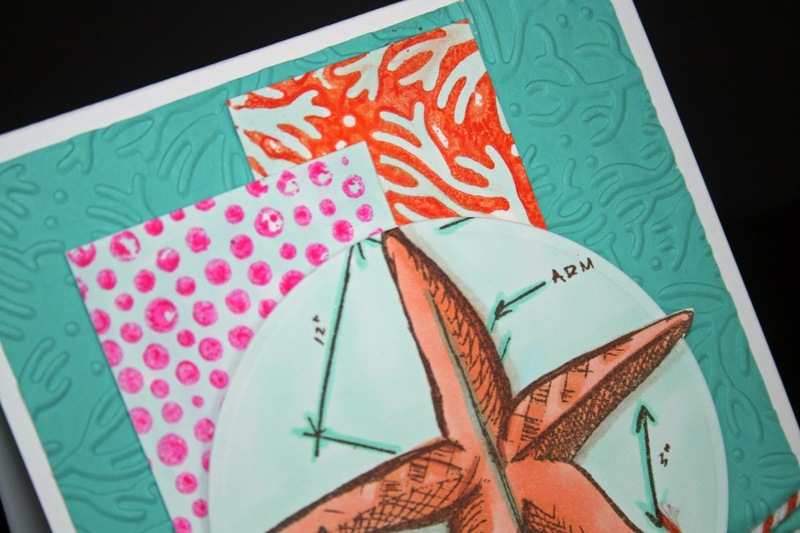 Hi Stampers, Today's inspiration comes from the Mojo Monday Challenge and my new Tim Holtz Nautical Blueprint stamps. 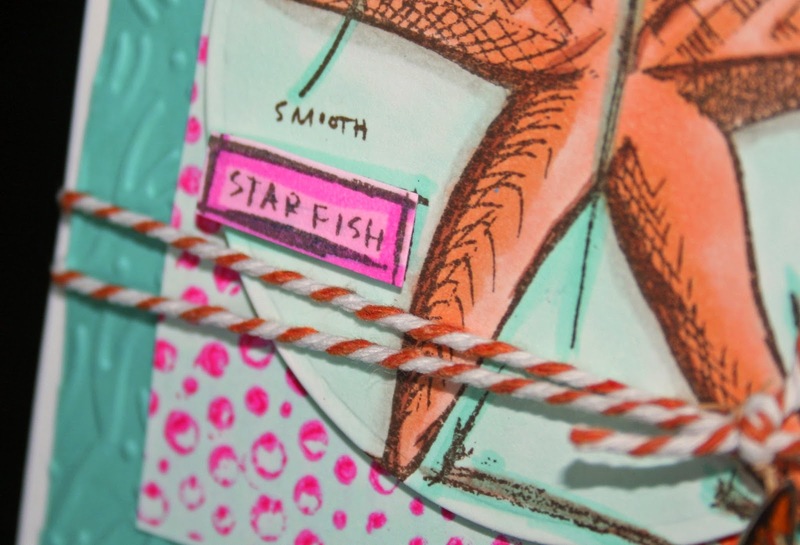 I had the two background strips left over from when I did my Letterpress Video, and that gave me my color scheme. 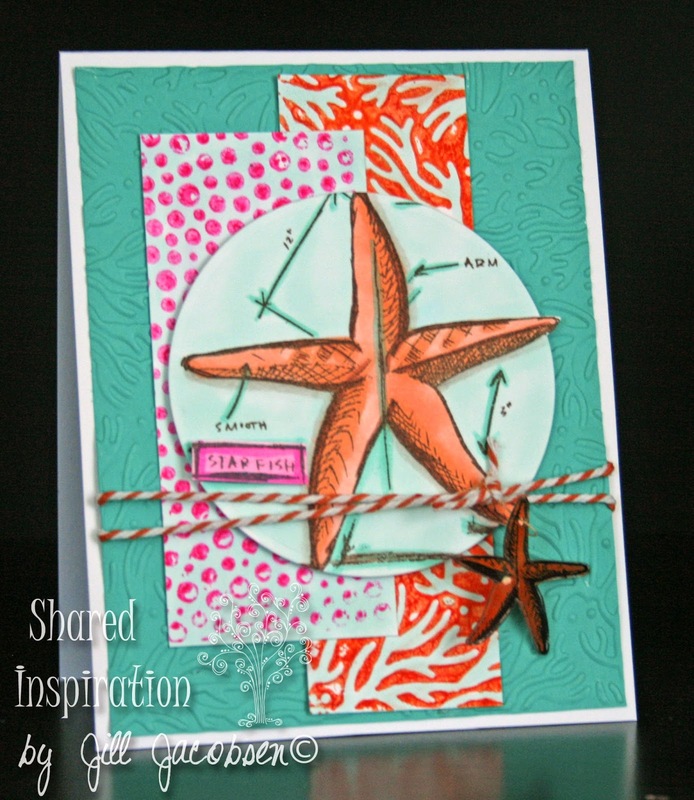 I stamped the starfish in Rich Cocoa Memento and colored with my Copics, E93, E95, E11 & BG10, BG34 & RV02, RV04. I used the Out of the Box technique to cut out the circle. 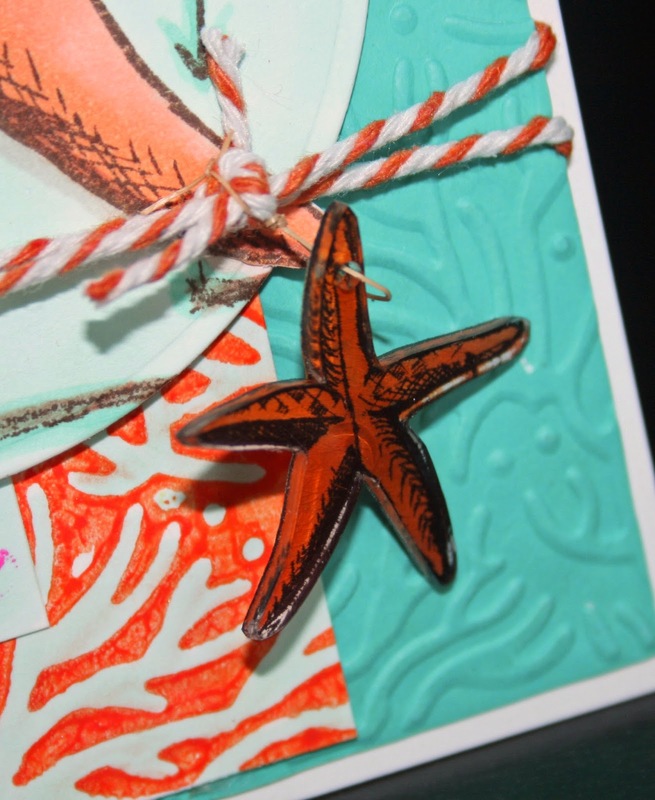 I've been wanting to make a shrinky dink lately so I stamped with starfish again colored with Inktense Blocks and shrunk...too cute! 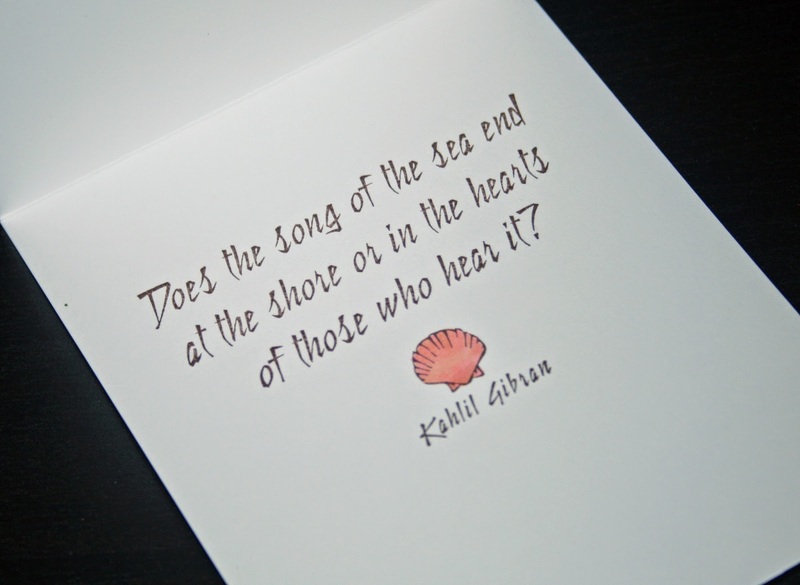 The sentiment on the inside is a wood mount stamp I pick up a couple months ago at a small store. Thanks for looking & hope this inspires you to be creative today!